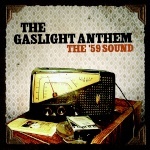 The Gaslight Anthem Fan Forum • View topic - Gaslight Anthem at Coachella! Coachella just released this year's line up, and Gaslight Anthem is playing sunday. What do you guys think of the direction Gaslight is going in playing one of the biggest music festivals of the year? Re: Gaslight Anthem at Coachella! It is awesome; it looks like so much fun. Anyone here planning to go? I also noticed they released dates for an Australian tour. Great news. I think it will increase their popularity. Pretty soon I think they'll be headlining festivals like this.